Guilin View is located directly facing the scenic Little Guilin Lake, Bukit Batok Park. High floor apartments offer panoramic view of the lake and the Bukit Timah Nature Reserve. Guilin View is close to the Pan Island Expressway (PIE), AYE and Bukit Batok MRT Station, Bukit Panjang Shopping Mall, The Rail Mall and West Mall. A mere 5 minutes bus ride is all it takes to go to the Bukit Batok MRT station and shopping mall. It is within walking distance to the HDB shops and markets located in Bukit Batok. One of sg best view condo. Huge pools and full condo facilities. Resort like living in serene environment yet easy access to CBD in 30 mins by MRT. Iconic Scenic View Of The "Little Lake"! Beautiful Sunrise & Sunset Picturesque Views Round The Year! What A Good Way To Wind Up! An Exclusive Residential Project with unique scenic view of the iconic Singapore "Little Guilin Lake"
And with very close proximity to the Gombak MRT Station leading to Jurong East MRT Interchange in 5 minutes and a Stone's Throw to the estate HDB neighbourhood commercial hub filled with numerous popular eateries, supermarkets, banking facilities and even the Gombak Sports & Recreational Hub. Guilin View is a condo located at 20 - 30 Bukit Batok Street 52, Singapore 659244 in District 23. 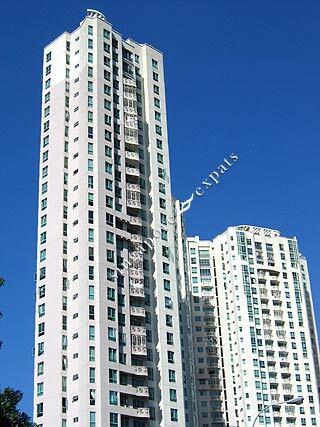 Completed in 2000, it comprises towers each scaling 30 storeys and a total 655 units. The higher-floor units offer an inspiring view of the nearby Bukit Timah Nature Reserve and the Guilin Lake.